US-amerikanisches Komiker-Duo. 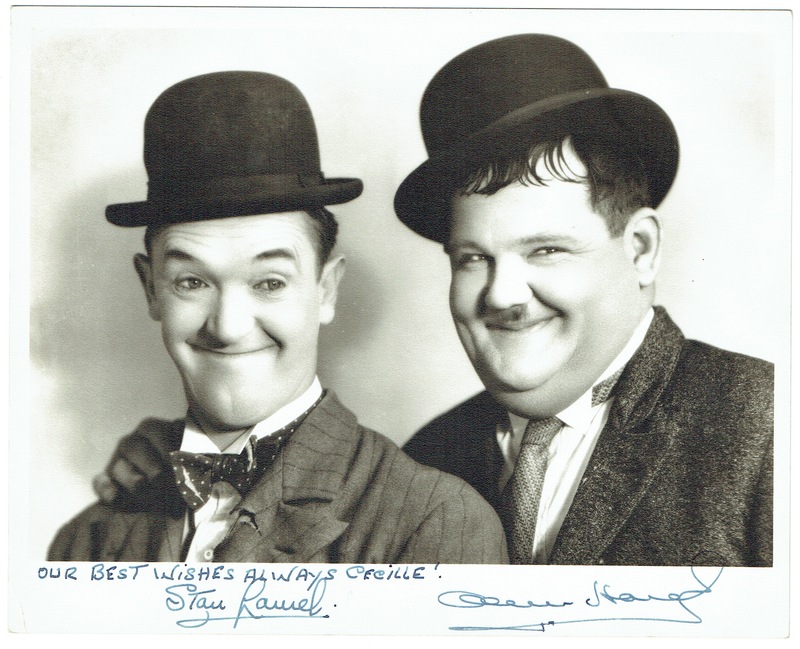 Signed and inscribed vintage photograph. o. O. u. D. 250 : 200 mm. 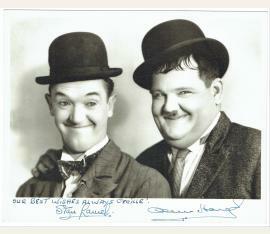 Inscribed by Stan Laurel „Our best wishes always Cecille“.